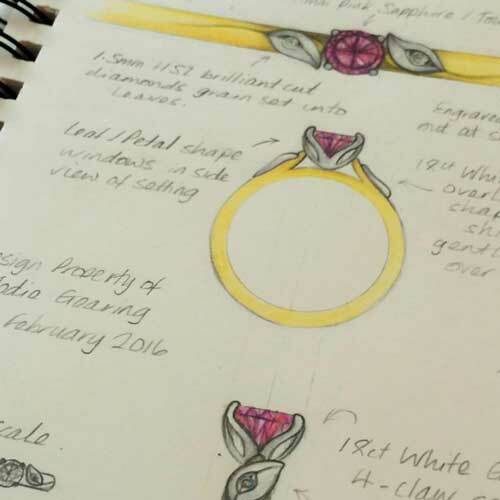 Inspired by natural forms, and using traditional handcrafting techniques, Jodie works with you to design your perfect piece of bespoke jewellery. 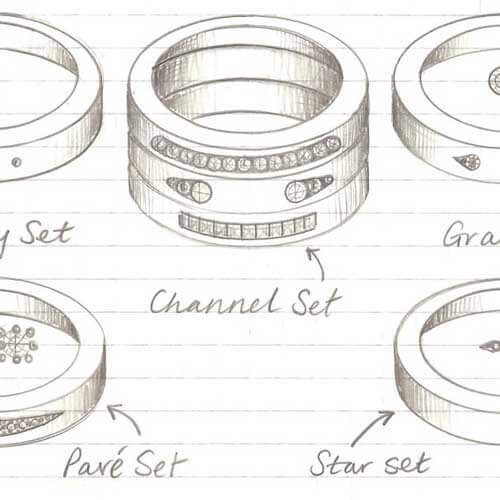 Discover the possibilities today by learning about our bespoke process; what will you design? 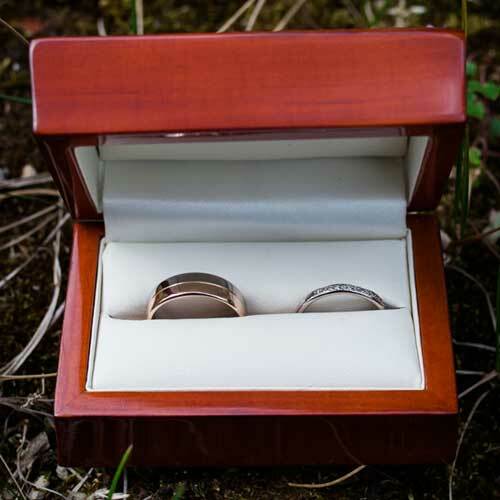 Whether you are looking for wedding or engagement rings, earrings, or a special gift, Jodie will work with you and your budget to come to a design that is perfect for you. 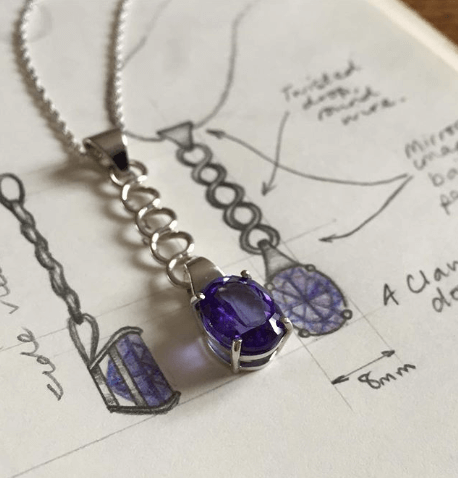 Working with platinum, palladium, gold, silver and precious stones to create beautiful and tactile pieces, Jodie is passionate about the stories attached to the commissions she designs. All pieces she creates are crafted by hand by master goldsmiths and will always be one-offs. Jodie crafts bespoke jewellery at her studio in Bedfordshire, and caters for clients from around the UK and beyond. 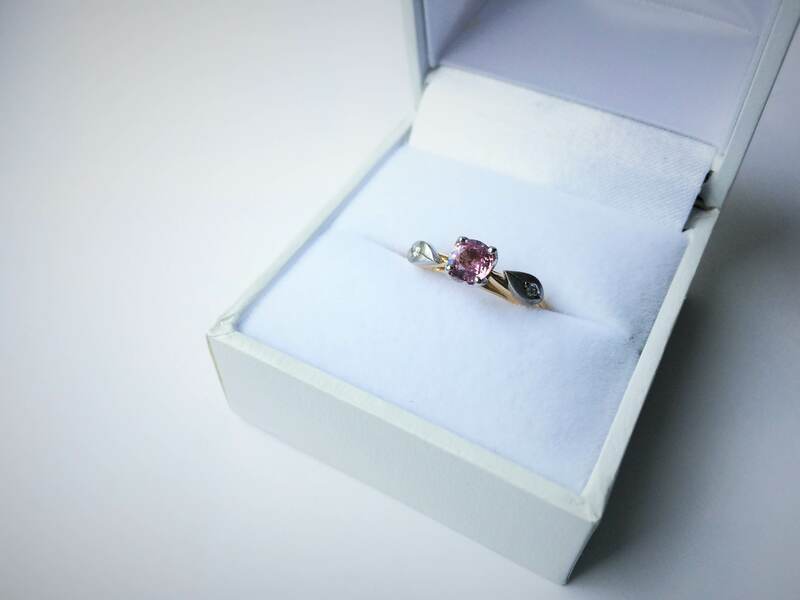 Sarah’s fiancé Lee popped the question six months ago on the beach with a gorgeous engagement ring charm for her bracelet; he knew she would like to pick her engagement ring while also having a memento she could wear and treasure from his proposal. However, when it came to finding her dream engagement ring, Sarah struggled to find the ring she had dreamt of off the shelf.